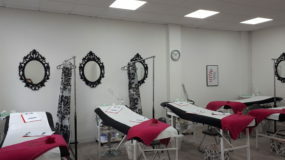 The Beauty Academy was established in 1990 to provide high quality, short term, intensive beauty therapy training courses. We wanted to offer a more accessible training option for those looking to start a new career or make a career change that worked with our student's lifestyles. Our student’s love how our flexible courses allow them to train while still in their current employment or while juggling childcare, yet working towards their financial independence and fulfilling their aspirations. We welcome students from all backgrounds, of all ages and all genders. Our friendly, industry experienced Course Advisors ensure our students enrol upon the right course, at the right level for them and our wide range of industry leading courses put students on the right track from their first step. All courses are accredited by ABT allowing you to gain insurance to begin earning immediately and we offer a wide range of qualifications including VTCT, BABTAC and The Guild accredited. VTCT qualifications are internationally recognised for excellence and allow you to gain industry employment. We also offer a full range of Online beauty courses allowing you the convenience and flexibility to learn online, anywhere and anytime, at your own pace with no attendance required. Completed through our online student portal, all online courses are recognised for insurance upon completion. Our exclusive training centres are well equipped and within easy reach. All are accessible by public transport and most have parking locally or on-site. Our centres are regularly inspected by our accrediting bodies to ensure we are giving you the highest standards of training. Discover our training locations here. We pride ourselves on working with only qualified and experienced beauty tutors who are friendly, welcoming and happy to go the extra mile to deliver the very best student experience possible. They share their industry experience with you, to help you get the most from your training course. We provide high quality training materials by email upon enrolment, to allow you to begin learning straightaway. The materials will also support you following your training and are easy to access online or can be printed, if preferred. Students booking Online courses or VTCT/BABTAC qualifications will also have access to our Online Student Portal throughout their studies. Our Bookings Team are friendly and professional ensuring your booking is processed swiftly. Our in-house Support Team includes qualified and experienced beauty professionals, on hand Monday to Friday (9.00am – 5.30pm) by telephone or email; supporting our students throughout their studies with every aspect of their course, and beyond as they begin their new careers. We pride ourselves on the high standards of course delivery. All courses are run with small groups of students per tutor, giving plenty of personal time and attention; and ample opportunity to ask any questions or seek further support. 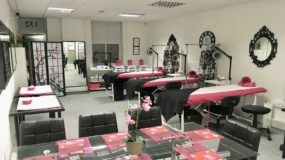 Since we pioneered short-term beauty courses over 28 years ago, the industry has changed greatly with many ‘schools’ offering courses from hotel rooms or conference suites with very little genuine quality control or consistency of standards. We are proud to be the original and provide training only from our exclusive, highly equipped training centres. All courses are fully accredited by ABT (Associated Beauty Therapists) allowing you to gain insurance to begin working from home or mobile straightaway following your course. 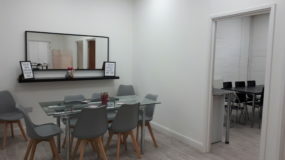 We run courses all year round including weekends; from our 10 training centres across the UK in London Kings Cross, London Clapham Junction, Harlow, Cambridge, Reading, Milton Keynes, Manchester, Leeds, Newcastle & Birmingham, ensuring you receive the very best training possible at a location convenient for you. All courses are accredited by ABT allowing you to obtain insurance to begin earning. Our centres are regularly inspected by our accrediting bodies to ensure we are providing the highest quality training. Our tutors are all highly experienced beauty professionals and fully qualified in teaching. They all have years of valuable industry experience to share with our students and are passionate about the beauty industry. 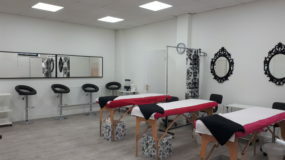 All training centres are fully equipped with high quality products and tools to allow you to focus on initial training. Our courses are generic allowing you to move on to use your preferred product ranges. 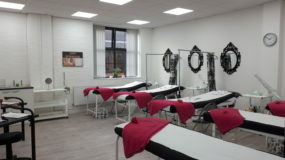 Our exclusive, highly equipped, permanently set up training centres are in easy to access locations, all with excellent public transport links and parking locally or on-site. We never use hotel rooms or conference suites. All students benefit from high quality learning materials to refer to throughout their studies along with FREE access to our expert Support team by phone or email to ensure you feel confident every step of the way. Our courses are designed to equip you with the skills to be industry ready whether that is starting your own business from home or mobile, or employment in a salon or spa. All courses are accredited for insurance. Our business course can be studied online, from home and provide you with the skills and knowledge needed to launch and run a successful beauty enterprise; whether a salon, spa, mobile or home based business. Our values ensure all students benefit from our supportive, inclusive learning environment ensuring all students achieve their aspirations and potential quickly. Our Facebook page allow you to interact with other students. 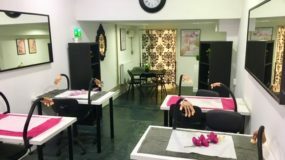 The Beauty Academy are proud to offer the very best in flexible training routes – whether that is for a student who wishes to work from home or mobile, open their own business premises or indeed to gain employment within a salon, spa or cruise ship. We pride ourselves on offering courses within the most popular & most lucrative treatments for a therapist to be able to offer in the beauty industry today. We are regularly updating our courses to meet the needs of our students, employers and the industry. All course packages & qualifications totalling over £299 are available through Finance allowing you to spread the cost of your training, making the process affordable and manageable. 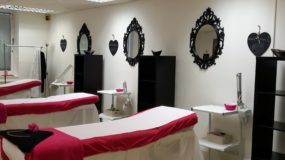 All students will receive The Beauty Academy following their training days, which allows them to obtain insurance and start offering treatments from home or mobile. Upon completion of courses, students can obtain public liability (beauty) insurance at a reduced rate through our accrediting partner ABT or through Balens or Radius Insurance. Our courses are also ideal for qualified therapists who need to complete Continuing Professional Development (CPD) by refreshing their knowledge; or updating their skills with new treatments to offer to their existing clients. We work with industry recognised awarding bodies including VTCT, BABTAC and The Guild allowing our students to achieve qualifications well known in the beauty industry; and highly sought after by employers internationally with VTCT. Students are provided with high quality study materials by email upon enrolment, so can begin working towards their qualification immediately. Those completing a qualification (VTCT awards or BABTAC accredited units) simply attend training days, complete coursework from home with study materials provided; and attend for assessment days (VTCT only, no assessment days required for BABTAC). Our Support team are on-hand to guide you through, by email or telephone. Our qualification courses are designed to help you achieve this level of industry competence as quickly and economically as possible; even while still in your existing employment or around commitments such as childcare. You can then go on to gain employment in your chosen field whether in a spa, salon, freelance basis or on-board a cruise ship. We also are able to offer our students and graduates reduced price insurance through both ABT, Radius or Balens Specialist Insurance brokers who underwrite policies for beauty therapists and nail technicians. This insurance allows students to begin practising their treatments and even begin earning as soon as they have completed their practical training days once the insurance is in place. Students choosing to insure through ABT can receive a 10% discount on their policy by quoting ‘ACADEMY99’ when purchasing their policy. Balens and Radius both offer excellent insurance packages for many types of therapist & their policies are very competitive. We are unique in that we provide our own expert team of Support Advisors for the benefit of all students regardless of the stage of their studies with us. 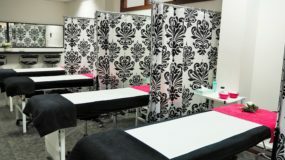 Our in-house team of qualified beauty professionals are available to all students throughout their studies and beyond. Our team are happy to assist with any questions you may have about the industry even once you have graduated. Contact us Monday – Friday, 9.00am – 5.30pm by telephone or email. The Beauty Academy Facebook & Twitter pages allow you to stay up to date with all the latest beauty news, industry trends, jobs, new courses and so many tips on how to make the most of your beauty business or career. Follow us now!